The least any broadcaster wants is to be ripped off his platform through sanctions or fine by the regulatory body of the broadcast industry. This explains why Radio anchors are always advised to master the NBC Code of Conduct and register the key elements of the doctrine especially the Not-To-Be-Broadcast (NTBB) section. Now, let’s travel down the memory lane a little bit. Broadcasting started in Nigeria in 1932 with the Radio Diffusion System (RDS) introduced by the British colonial government which later gave way to Radio Distribution System. The first radio service in Nigeria was launched in Lagos on December 1st 1934. In 1957, an act of the parliament established the National Broadcasting Corporation (NBC) which was formerly National Broadcasting Service (NBS) as the management body of government-owned broadcast stations. 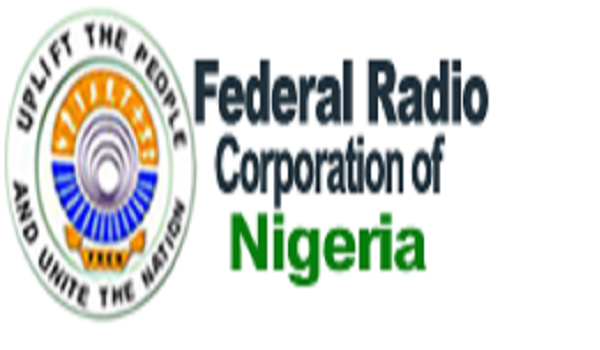 Thereafter, in April 1978, the Federal Radio Corporation of Nigeria (FRCN) was established with the zonal stations in Lagos, Ibadan, Enugu and Kaduna. And the administration of ex-President Olusegun Obasanjo ensured the establishment of FRCN stations in all 36 states of the federation in 1999. This was to facilitate proper dissemination of information from the government to the citizens. Meanwhile, in 1992, there was a major proliferation of the broadcast industry as the government decided to open up the system for private investors. This resulted in the establishment of private radio stations in Nigeria. The first of such was Raypower 100.5 FM Lagos which was established in 1993 by Chief Raymond Dokpesi-owned DAAR Communications and started broadcast in 1994 after about 8 months of test transmission. The first private Radio station was @Raypower100_5fm which was established in 1993 by Chief Raymond Dokpesi-owned DAAR Communications and started broadcast in 1994 after about 8 months of test transmission. The freedom of private ownership seemed like a blessing to private investors, the public and somehow the government. This was because the private investors were able to make money, the public had varieties of Radio stations to tune to and the government had to tax private investors accordingly as well. However, there was more to contend with than profiteering, wide range of choice and the government’s IGR. With private ownership came abuse, contempt and deregulation of the ethics of broadcasting. This informed the need to create a regulatory body that will be saddled with the responsibility of stemming the excesses of broadcast stations; hence the National Broadcasting Commission (NBC). This should not be confused with the defunct National Broadcasting Corporation which was a management and not a regulatory body then. Hence, NBC came up with the Code of Conduct which was referred to as the Broadcaster’s Bible as every broadcaster should have one. It was first published in 1993 with a revised edition in ’96, ’02, ’06, ’12, and 2016. I’ll attach a link to download the latest edition at the end of this post. I encourage you to download and go through it. It is pretty much lengthy anyway with about 145 pages. Meanwhile, most of the terms of reference are not what you should be so concerned with as a Radio anchor anyway. The most important part that has to do with you is the Not-To-Be-Broadcast (NTBB). Nevertheless, going through in order to have a full grasp of what the code says is not a bad idea. Not-To-Be-Broadcast are rules guiding what is permitted of you to say on air and what is not. They are simple principles with which you have to gauge what you intend to say on Radio to determine if it is appropriate or otherwise. I have summarized the general principles of NTBB into these 7 major points. So you just have to register these principles in your subconscious mind. So that your adventure onto becoming the next Radio Superstar will not be rocked with sanctions. Asides this, understanding these basic principles makes your Radio show somewhat appealing, clean cut and professional. That too even to the audience you are addressing. These are the basic principles of the composition of NTBB. So the next time you have your time on the MIC, before you drop any bar; just ask yourself if what you are about saying does not bow to any of these principles. And the more you become more conscious of these principles, the more you train your mind to stay away from anything relating to them. Sanctions aren’t a very good thing to happen to a Radio anchor and fines only wreck you financially. As a matter of fact, especially for up and coming OAPs, you’ve gotta be mindful of these. NTBB is one of the parameters with which your content and its delivery is judged during Auditions. So the number of times you say ‘you guys’ matters even in an Audition. Meanwhile, NTBB is not exclusive to what you say as an Anchor. It also applies to what you play on Radio. 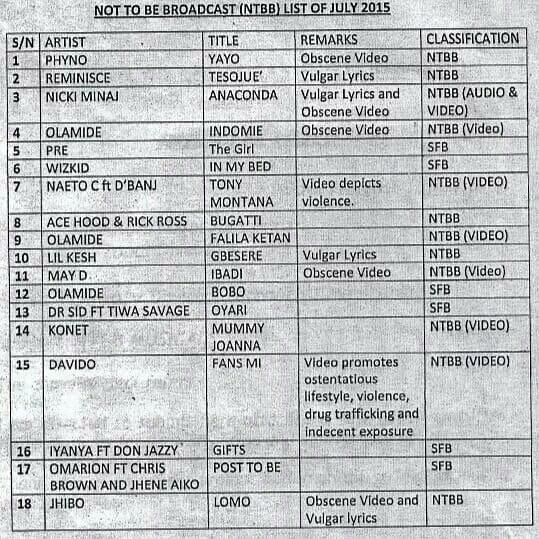 That is why the NBC have a tradition of releasing a list of songs which they have classified as NTBB. You could go through the whole Code of Conduct document. Click here to download it.